There are police officers with autism? Really? Yes, really. Officers with Asperger syndrome (a form of autism without intellectual impairment) can be found at all levels of the police service. Some were diagnosed with the condition after several years’ service, having successfully passed the entry assessment centre alongside non-disabled (or “neurotypical” – NT) candidates. But don’t you need to be able to communicate well and understand people as a police officer? Yes – but AS doesn’t necessarily stop someone from being able to communicate or empathise. It can make it more difficult, but difficulties can be overcome with practice and determination. Communication is a skill that all police officers develop during their training and with experience. It’s also a myth that people with AS don’t have empathy – they experience feelings just as keenly as others, but may find it difficult to express them. I’d never heard of a police autism association – where did you come from? The NPAA started life as a local autism support group for police officers and staff, and launched nationally in October 2015. At the time there was no national support catering specifically for autism and other neurodiverse conditions within the UK police service. We believe that there are many police officers and staff who are affected by these conditions and need our support. Although we’re supported in our aims by the NPCC and College of Policing, the NPAA is an independent group – we’re made up of officers and civilian staff from police forces across the UK. We maintain our own agenda, and we do not claim to represent Government policy or the views of the police service. The NPAA receives no funding from the Government, and we do not collect membership fees. Our website and forum are funded privately – travel and other expenses are covered by our members’ police forces. Why do you also support other conditions such as dyslexia? Dyslexia isn’t autism! There are several reasons why we support a range of neurodiverse conditions such as dyslexia (which is not part of the autism spectrum) alongside autism. There is currently no dedicated support for dyslexia or dyspraxia within UK policing, and staff with these conditions often have to overcome similar challenges to those with autism (e.g. lack of understanding and a need for reasonable adjustments). To read more on why we’re not just about autism, check out our blog post. Are there any advantages to being a police officer with AS? …and cleaning up in casinos? No, that’s just in the movies. Savant syndrome (to use the correct term) is very rare, and those individuals who do show profound abilities in certain areas (e.g. mathematics, art, music) are often severely disabled in others and cannot lead independent lives. How many police officers with autism are there? Impossible to say at the present time. Some officers who believe that they have AS choose not to be formally diagnosed and declare their condition for personal reasons. One of the aims of the NPAA is to remove the stigma that surrounds autism. It is, and always has been, part of the human condition and is nothing to be ashamed of. Do I need to have been diagnosed with autism or a related condition to join the NPAA? Whatever your interest, you’re welcome to be part of our community. Click on the Membership tab for more info. 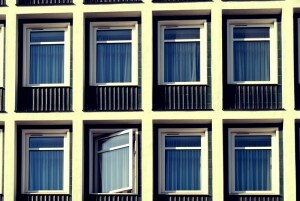 You mentioned you have a web forum – how does it work? If you want to see what a web forum looks like, check out Digital Spy, one of the UK’s busiest forums devoted to TV shows and broadcasting. Where can I get support in my Force? One of our key aims is for police forces to offer local support for autism and hidden conditions. Take a look at the Coordinators page for more information and to check if your Force has a NPAA Coordinator. You can also contact your Disability Support Network or Disabled Staff Association, if your Force has one. I think I may have autism – how do I get assessed? Autism assessments are provided by the NHS for adults and children, although the process can take 12 months or more depending on your location. The first stage is to speak to your GP, who will refer you to a clinical psychologist. You may also wish to take an online questionnaire, which will give you an idea of whether you may be on the autism spectrum. The National Autistic Society has a comprehensive guide to the assessment process on its website. For links to these and other useful resources, visit our links page. I have autism – could I be a police officer? Autism isn’t automatically a bar to being a police officer – each case is judged on its merits as the condition affects everyone differently. You would typically be asked for a report from your GP or specialist as part of the medical screening process. Autism would be an additional hurdle to overcome during the assessment centre and initial training, which are significant challenges in themselves. Many NT people are not cut out for a career in policing. Ultimately you would need to pass the assessment, training and tutoring stages to become a police officer. Speak to the Recruitment Dept. of the Force you are looking to join – they will be able to advise you and to discuss any reasonable adjustments that could be put in place to make the process as fair as possible for you. My child is on the autism spectrum and is interested in joining the police service – what advice can you give? Social interaction is big part of the role of police officer – however we’ve found that in a professional setting it’s a skill that can often be learned and mastered, which tends to work in favour of those for whom socialising doesn’t come naturally. We’d recommend your child builds their confidence and gets used to working with the public by joining a uniformed cadet scheme such as the Police Cadets or St. John Ambulance Cadets. They can never start too early! As of early 2018, the College of Policing is in the process of introducing the Policing Education Qualifications Framework, which will require police officer applicants to have – or work towards – a degree-level qualification. (Most Forces currently require A Levels or equivalent.) Your child should focus on preparing for this level of education, as well as having good maths and reading/writing skills. Click on the link above and check your local Force’s website for more information. Why the jigsaw piece in your logo? The jigsaw piece is the internationally-recognised symbol of autism, and is over 50 years old. It is controversial – a quick Google search will show that people tend to be passionately for or against it. 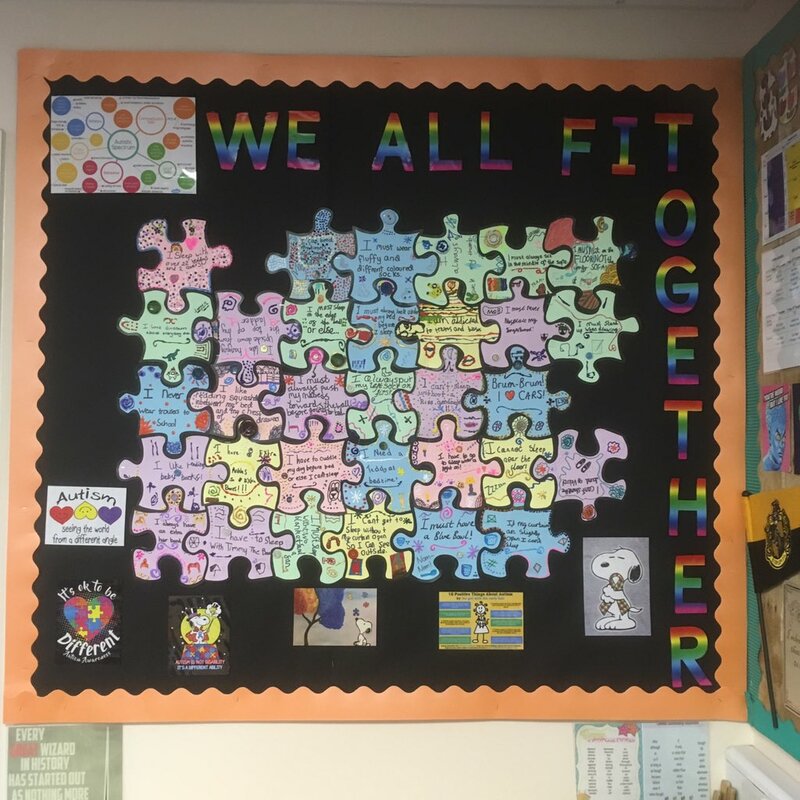 We like the jigsaw piece as it symbolises the difficulty that autistic people sometimes have in fitting into society (or society fitting in with them?) and the fact that autism is still not fully understood. The interlocking jigsaw motif used in our logo represents unique individuals melding together to make a whole – a positive message about the value of diversity.